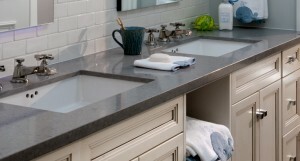 Nuance Design has a showroom where the client can see and touch the various products that are available. Our team has the experience and expertise to advise and help you choose the material that best suits your needs. 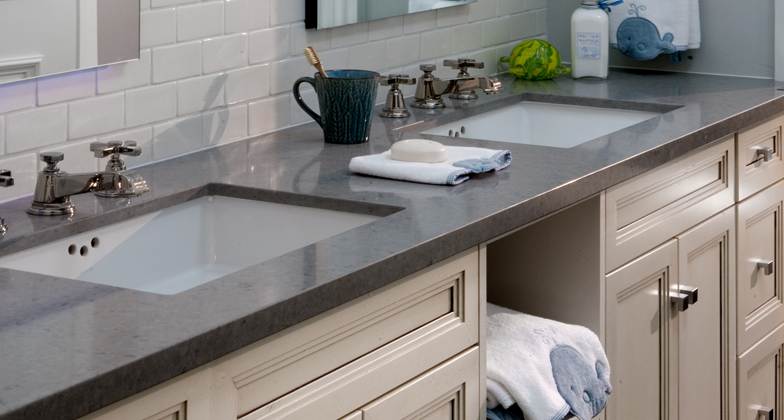 Nuance Design uses materials at the cutting edge of technology and, thus, digitizes all surfaces which allow us to mold our counters to any shape. Installation is always carried out with the greatest respect for our clientele. Our installers use footwear covers and mats to protect your floors and keep them clean. Their mandate is to work enthusiastically and courteously, in order to meet your needs and accomplish the work, all while ensuring your complete satisfaction. Whether your choice lands on natural stone, quartz or an ultra-compact surface (DEKTON),Nuance Design uses the latest technology to carry out every one of your projects, all within a short timeframe. Does your counter have a scratch? 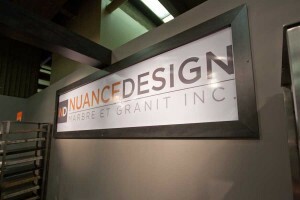 Nuance Design offers great support, in order to satisfy its clients. We use Stonelux tools and technology for all kinds of repairs. Nuance Design is a Quebec company that specializes in the manufacture and kitchen countertop installation, bathroom and any other related project. 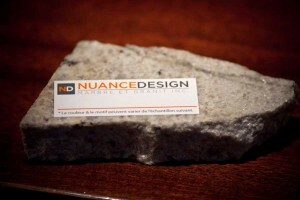 Nuance Design Marble & Granite Inc.
All rights reserved © 2015 – Nuance Design Marble and Granite Inc.